Zone 7. Rain Lily. Flowers August, September. 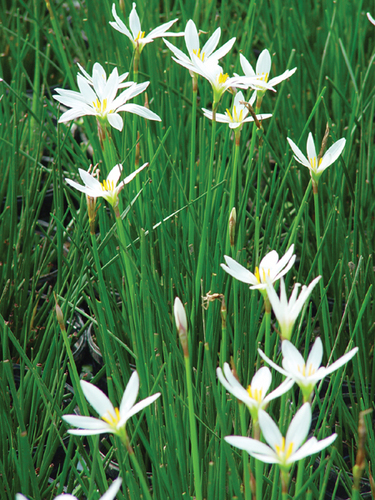 A small, profuse, ornamental bulb that produces white blooms above the green needle-like leaves. Semi-evergreen. 1' tall.